This dainty little laptop folding card has a scallop-edged die-cut flap on which a beautiful floral gold lancer sits on the sides of a traditional maroon Ganesha print. 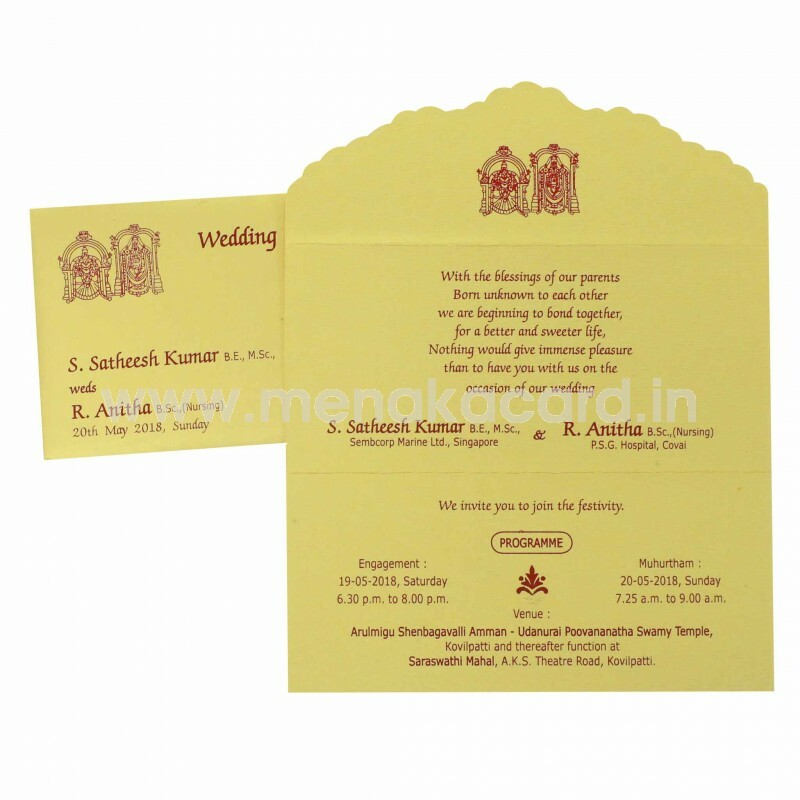 The bottom flap opens to contain reveal the content of the card printed on all three faces of the card in rich maroon ink. 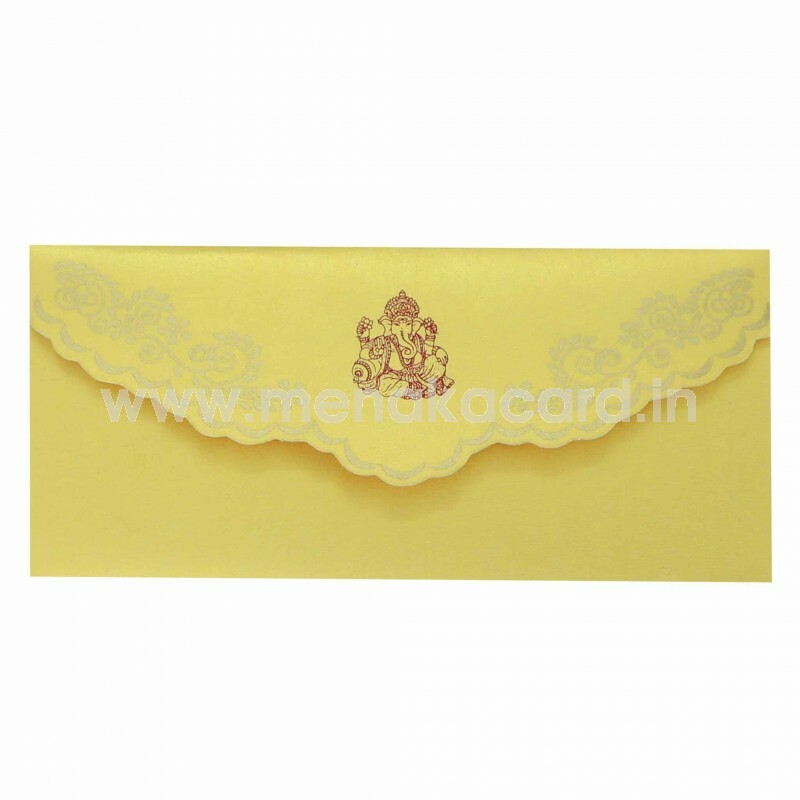 The envelope is also the same material as the card made from a metallic/shimmer board in a cream colour with the content and imagery in maroon. 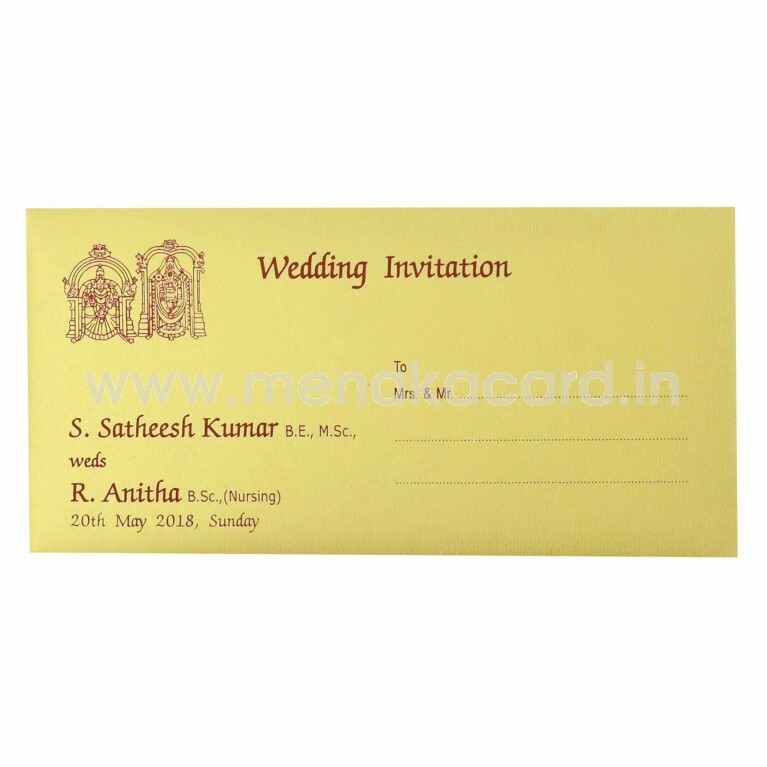 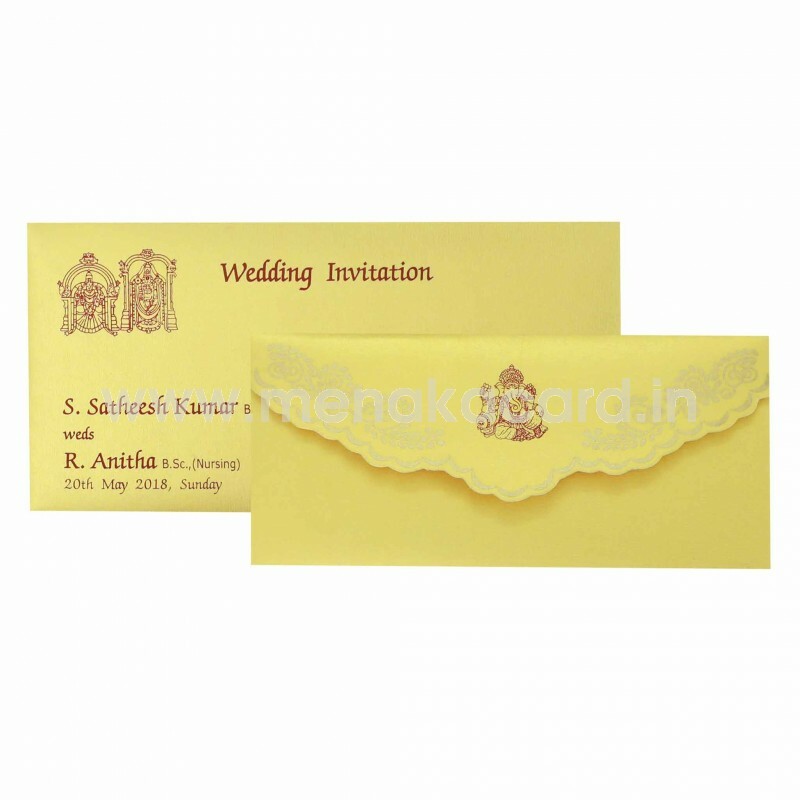 Generally used for personal invitations to friends and colleagues, this can also be used for grahapravesham, reception and engagements.